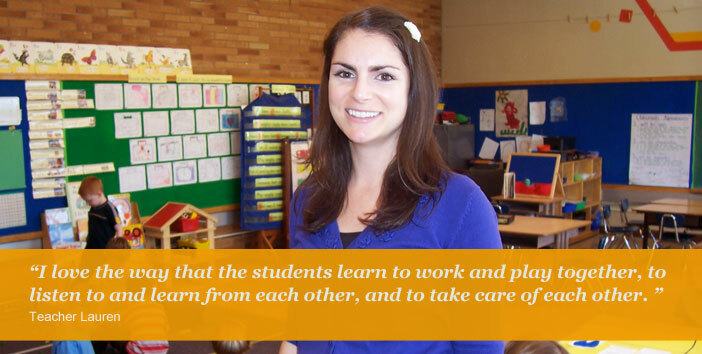 Our teachers are dedicated to providing a constructivist approach to learning. This means your child will be immersed in curriculum that asks questions, encourages investigation, promotes cooperative learning, develops problem-solving language, and celebrates creativity. We strive to create a climate where mutual respect among teachers, students, and parents is the foundation and learning how to learn and think is both a daily goal and an opportunity. CSS teachers guide and assist children in learning through experience and experiments, and our team of teachers meets together weekly to support each other. For a list of contact information for current teachers and staff, see School Staff.